It’s true. We wish we could give every single person in the world a ticket to come to the Flavor Run. For the month of December, we are giving away free tickets EVERY WEEK to our awesome Flavor Runners to attend Flavor Run events in ORLANDO, JACKSONVILLE, FT PIERCE, AND TAMPA BAY! So please! 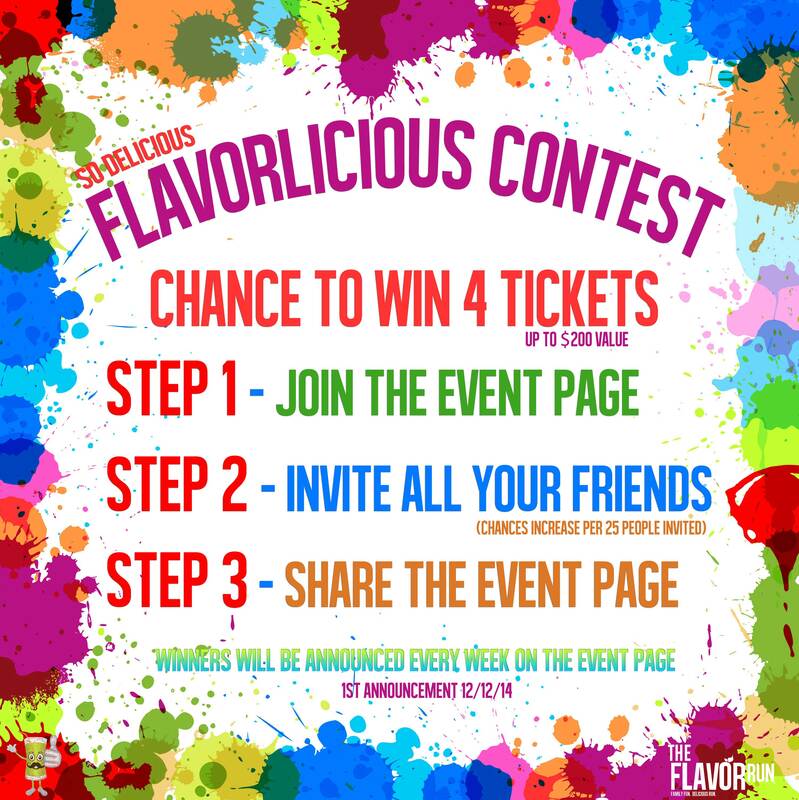 Help us out by inviting all of your friends & family to the Flavor Run closest to you -AND- be entered to win! And don’t forget – Any delicious runner that purchases a GIFT TICKET for any 2015 Flavor Run event will be entered to win a ticket for themselves!